When it comes to providing orthodontic treatment in the Carlsbad, California area, your smile comes first at Hurst Orthodontics. With years of experience creating the amazing orthodontic results our patients deserve, orthodontist Dr. Brent Hurst and his team look forward to helping you achieve the straight smile and perfectly functioning bite you’ve always wanted. We offer the latest technology available today in leading edge orthodontic treatment options, including clear braces, Invisalign, and Invisalign Teen for patients who are self-conscious about wearing braces. We understand busy lifestyles and offer early morning and early evening appointments and run “on-schedule” so that you can too! Our team is always available when you have questions or need assistance. Along with extensive use of modern technology for fast, effective treatment, we complete treatment on time. Multiple financing options are available to make orthodontic treatment affordable for everyone. We strive to provide the best care possible in a fun, friendly environment for kids, teens and adults. From teenagers to adults, the straighter, healthier smile you’ve been waiting for is possible without the annoying wires and brackets that come with traditional braces. Dr. Hurst is a certified Invisalign orthodontist providing patients with a comfortable, effective way to straighten their teeth in less time. Unlike traditional braces, Invisalign clear aligners are impossible for anyone to notice – allowing you to keep your orthodontic treatment between yourself and the staff at Hurst Orthodontics. With an average treatment time of just 12 to 16 months, you can achieve your desired smile in half the time. Contact our office to schedule your complimentary Invisalign evaluation and find out if you or your child is a candidate for Invisalign or Invisalign Teen. Everyone at Hurst Orthodontics invites you to learn more about us on our website and encourage you to contact our office today to schedule a complimentary smile exam. 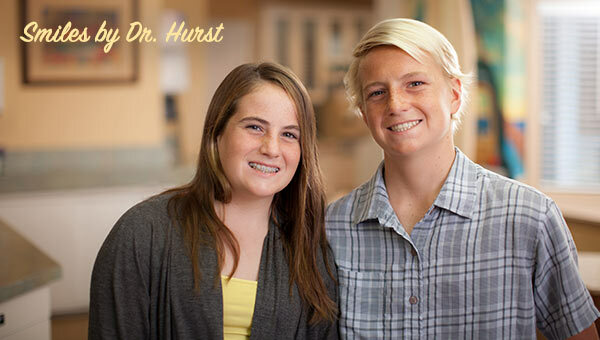 Discover for yourself why Dr. Hurst is the orthodontist for you, your family, and your friends in the Carlsbad area including Oceanside, Vista, San Marcos, Encinitas, and Camp Pendleton. The virtually invisible way to straighten your teeth. Also available especially tailored for teens. Your first visit to our office will be a courtesy exam for you or your child. Schedule your complimentary exam! I highly recommend Dr. Hurst and Hurst Orthodontics! We are visiting from out of town and had an issue with my daughter’s braces. Our local friends referred us to Dr. Hurst and we were extremely impressed with him and his entire staff. They squeezed us in today and the care they provided was above and beyond! Both of my kids went to see Dr. Hurst. The level of detail is unbeatable. I have nothing but good things to say about Dr. Hurst and his team. Highly recommends this practice. We live far away and we drive to see Dr. Hurst. Our office has several options to make your orthodontic experience affordable and stress-free. Our patients love us! Read what they have to say about their orthodontic experience. Our friendly, dedicated, and energetic team is committed to working with you and your family!